Perth is Off to a Flying Start! So something massive went down on Saturday in the Latitude universe… drum roll please! We opened our brand spanking new Perth location in Joondalup. Can you hear us high fiving each other and applauding? We haven’t stopped the party since the official opening date on Saturday 17th March. 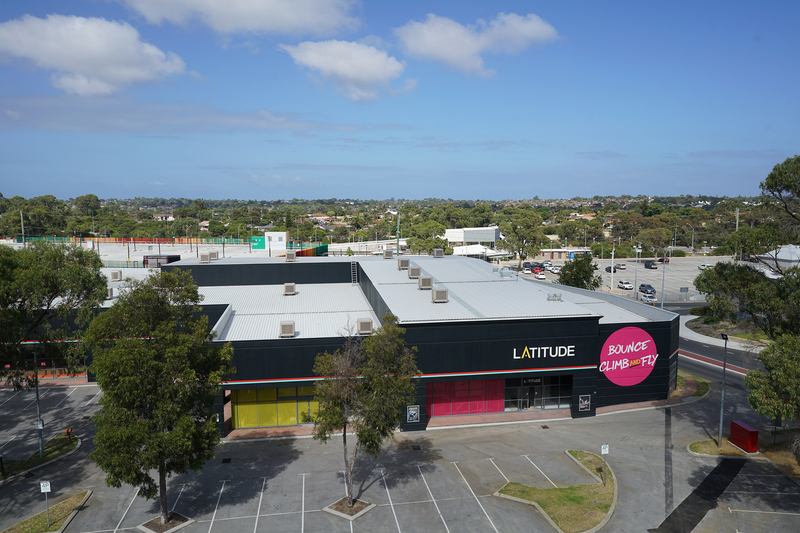 We’ve got to tell you that opening a new Latitude location featuring over an acre of state of the art bounce, climb and fly facilities, plus a dedicated Kids Zone, and a café and a bunch of function rooms, all under one roof is no simple feat! So, when we were ready to open last week, you better believe we celebrated, and we celebrated HARD! On today’s blog, we’re taking you behind the scenes of our Perth launch parties and giving you a good tour around Latitude’s latest centre, which includes a parkour obstacle course called The Grid, which is not available in any other Latitude location. A whole army of designers, construction workers, managers and make-it-happen superstars came together to work on bringing our Latitude Perth vision to life, so it was only natural that we invited this group of people to be the first to bring their friends and family to Latitude to show off all their hard work. Team work makes the dream work! We also brought the movers and shakers from the Perth media, including bloggers, social media stars and aerial champs, to come and check out the venue, turn some hot tricks on the trampolines and get social with us by tagging their pics and videos with #latitude_perth. Latitude is seriously impressive! The huge venue offers something for everyone You’ll find trampolines, climbing walls, a sky-high obstacle course, parkour and Kids Zone – a dedicated under 5’s area. The big one, the official launch party! Come one, come all. This was the first night Latitude was open to you guys. The event was hosted by the awesome Nova 93.7 Casanovas who are the exact opposite of camera-shy. The Casanova crew took our party to 100+ with a pumping DJ and entertained our crowds all night long with plenty of jokes, a stash of chocolate and they even tried their hand at our bounce, climb, fly attractions. They weren’t bad, we have to say! Winners are grinners! We put out a competition on social media for five of our Perth followers to win double passes to our launch party. Thanks to 100s of you that entered via Facebook and Instagram – keep your eyes peeled on our social for more comps coming your way. Saturday 17th March 2018 will go down in Latitude history! With over one million visitors and 6000 birthday parties to date, Melbourne and Adelaide have embraced the Latitude phenomenon with open arms and we were stoked to be welcomed so positively by our Perth Latituders too. We look forward to sharing some adrenalin-pumping good times with you at Latitude Perth very soon. Thanks for tuning into this addition of our What’s On blog.